A Chinese businesswoman nicknamed the 'Ivory Queen' faces 15 years in jail. On Tuesday (February 19) a Tanzanian court found her guilty of smuggling hundreds of elephant tusks to Asia. Yang Feng Glan trafficked some two tonnes of ivory - belonging to more than 350 elephants. She was charged in October 2015 - along with two Tanzanian men - with smuggling 860 pieces of ivory worth $5.6 million. All three denied the charges, but they were sentenced to 15 years each - convicted of leading an organized criminal gang. The trio also ordered to either pay twice the market value of the tusks, or face another two years in jail. Police sources said 69-year-old Yang had lived in Tanzania since the 1970s. A prominent entrepreneur - she was secretary-general of the Tanzania China-Africa Business Council and a fluent speaker of Swahili. 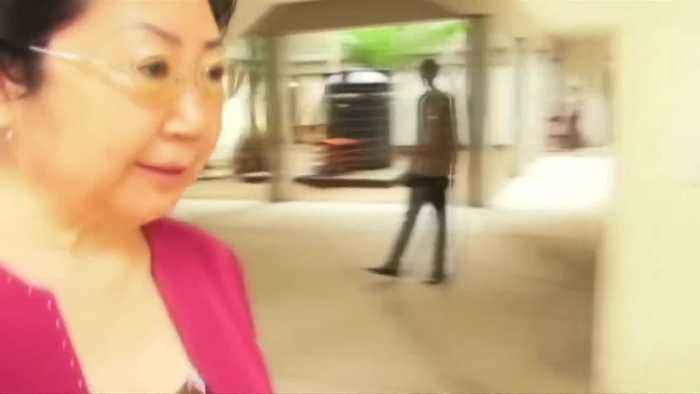 She was also known for owning a popular Chinese restaurant in Dar es Salaam. Conservationists welcomed Yang's conviction as proof of Tanzania's dedication to fighting wildlife poaching - but they said the sentence wasn't strong enough. Demand for ivory from Asian countries like China and Vietnam has led to a huge surge in poaching across Africa. Tanzania's elephant population shrank from 110,000 in 2009 to little over 43,000 in 2014 - according to a census.